Once it is connect with the supply power ,it will give a alarm at once . 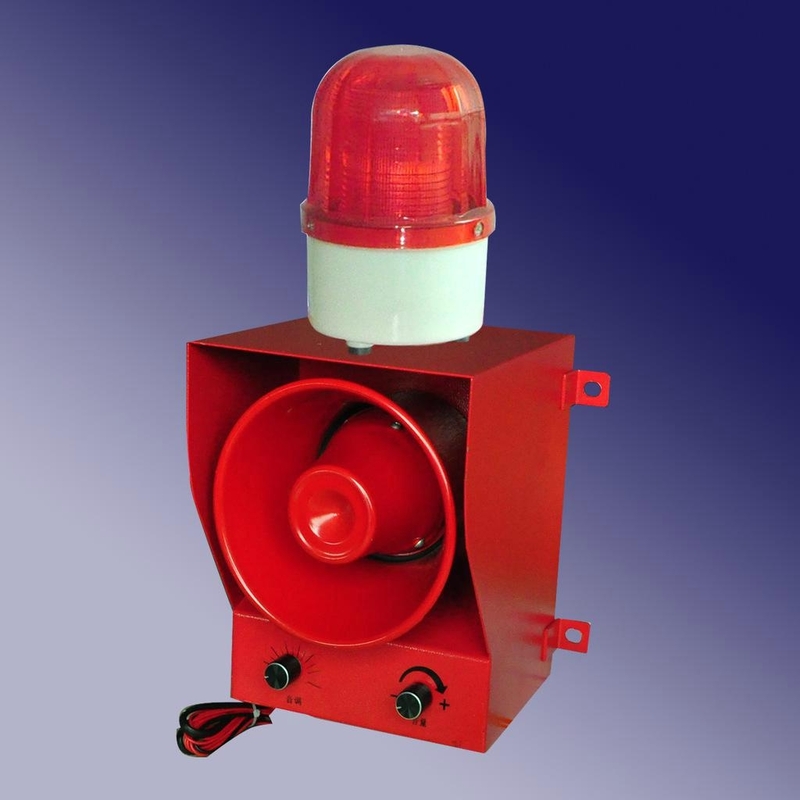 YS-05(YS-05B)Industrial sound and light Siren series is for using in the Lifting appliances, door hanging, crane, crane . Its core is using the advanced application integrated circuit design ,has a strong anti-interference ability, is stable and so on ; outward appearance use spray steel materials and advanced technology, innovative structural design, is beautiful, generous, ; flash light is using the most popular LED tube for manufacture , has significantly increased the using life . This series also has advantages : Light, waterproof, Strong Earthquake - Resistant, easy to install. 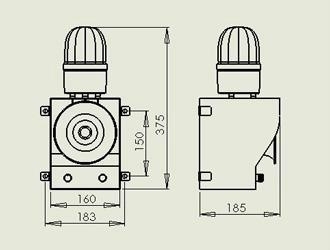 complete Product series , users can choose different models according to requirement for the tone and voice alarm mode. :Lifting appliances, door hanging, crane, port etc.